Emerald Media - ON TOUR: Air Race F1 comes to Europe. ON TOUR: Air Race F1 comes to Europe. 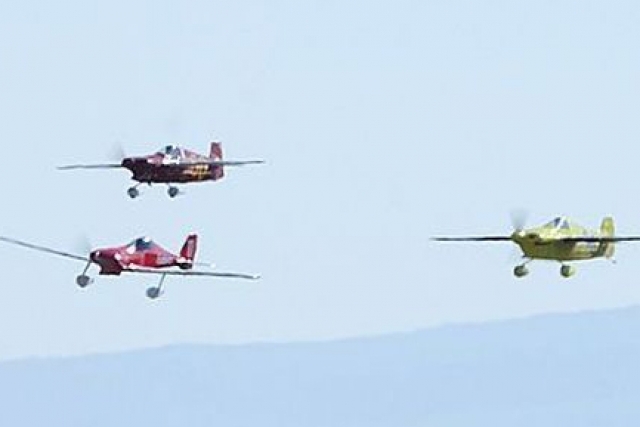 On the outskirts of the quiet town of Lleida, in the heart of Spain's Catalunya region, June saw the launch of an exciting new aerial motor sport event as Europe's first ever Air Race F1 competition took place above the expansive agricultural landscape. 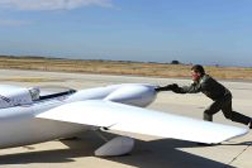 Air Race F1 had arrived in Europe for the first time and delivered to the crowd of some 10,000 people at Lleida-Alguaire Airport one of the summer's most exciting new spectator events. 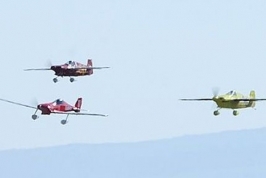 Following qualifying heats the aircraft lined up on the runway grid, with up to eight aircraft taking off at the same time. The brave maximise the opportunity to overtake rivals during take-off; then once in the air the race turns into one of speed and strategy. Competitors speed around an oval circuit marked by ground-based pylons, for up to 15 minutes at a time. Flying heights rarely rise above 200ft unless strategy requires a height increase to facilitate an overtaking dive on the curve of a corner for example. Speeds at this month's event averaged 384kph. From the ground the sport is breath-taking, edge of the seat stuff, as the planes seem to come within wing clipping distance of each other in their pursuit of podium positions. 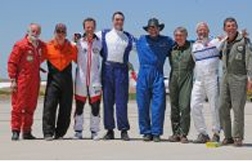 The winner and overall champion of this year's Gold category was "The French Guy", as fellow racers affectionately named him, Christian Guille, who quickly dismissed the expectation that the European planes may be slower than their trans-Atlantic cousins. Having designed his aircraft around his own body shape, he acknowledged that he felt confident, but knew that other pilots in the race had very clever tactics that could prove victorious. Highly experienced second place, US pilot, Jay Jones said, "I am extremely pleased to have been part of the Air Race F1 event. It was a close contest and credit has to go to Christian for putting together such a fantastic plane and racing it so well." An informal poll the night before the main event suggested that even veteran racers believed Guille was going to be the champion. However the jovial atmosphere of the pre-race party dissolved on the apron as race preparations began. 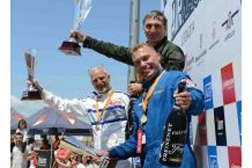 Veteran pilots with backgrounds in aviation, the military and aviation design displayed focus, in addition to nerves, in the race build up which led to a close race with Guilie taking the win ahead of Jones and Sweden's Thom Richard. While his rivals' experience and manoeuvrability was arguably stronger it was the Frenchman's use of energy and speed that was the deciding factor - he seemed untouchable in the skies as he sped round the circuit. The Silver Class Final was also a blisteringly competitive race, in which rookie Scotsman Des Hart was first to cross the line with an average speed of 293kph (182mph). With the planes constantly jostling for position from the outset, the Scotsman eventually came out on top after moving steadily up through the pack, passing everyone on the circuit in his plane Hart-Attack. French pilots, Guy Chereau and fellow rookie Stansilas Damiron finished a close second and third respectively. Hart said, "I fought hard all week in the run up to the final, battling mechanical problems, but the dedication of my engineering team kept my hopes high. In the final I used that motivation to drive me from the back of the grid. But there was so much great flying that anyone could have won and I won't be resting on my laurels in the future." Obviously safety is a key consideration in hosting the events but Jeff Zaltman the CEO of Air Race F1 has had many years of experience and in conjunction with representatives of the world's three main F1 sanctioning bodies, the US International Formula One Association (IF1), the French Association des Pilotes d'Avions de Formules (APAF) and the UK's Formula Air Racing Association (FARA), worked hard to ensure the race was both safe and a monumental success for all involved. International sponsors also saw the potential of the race as a medium to reach a new audience and shared the motivation to encourage sporting excellence. Burn, an energy drink from The Coca-Cola Company, welcomed VIP guests to its hospitality area; Sportium, the sports betting house, supported the event as it begins to roll out an ambitious plan opening up hundreds of new shops in Spain; and AIG, the world's largest global insurance company, used the Air Race F1 to showcase its support of community events that bring both corporate clients and end users together. Zaltman commented, "It was a great compliment to have these important companies accept Air Race F1 as a viable long-term marketing platform for their brands."